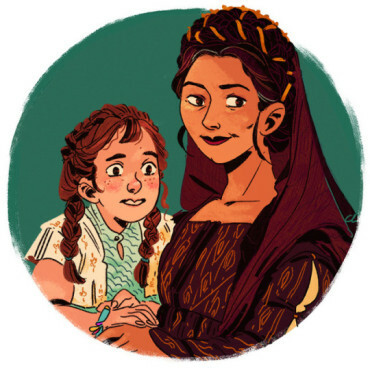 Leia: Princess of Alderaan is a true coming-of-age novel about one of the franchise’s most iconic characters, and seeing a sixteen-year-old Leia struggling to find her place in the world makes for a poignant and emotional story. We’ve seen Leia as the fiery leader of the Rebellion who’s wise beyond her years. We’ve seen her as the somewhat more jaded senator of the New Republic. And we’ve seen her as the Resistance general, who brings gravitas to every scene she’s in. But this Leia is younger and more untested. She is unsure of her place in the galaxy, both as the heir to the throne and as a person in her own right. Last Friday, Jay did an excellent job detailing Leia’s struggle to make a difference in the lives of those hurt by the Empire. And even though the reader knows what lies in store for Leia, that doesn’t make it any less emotional to see her trying to do the right thing against a system she knows is unfair, to see her anguish over the sudden distance her parents are keeping from her, or to see her try to establish her own identity outside of “future princess.” It’s Leia at her most relatable, for who among us has not felt unsure about our place in the world or the identity we want to be? 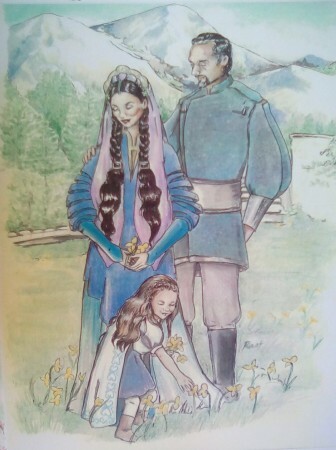 But perhaps the greatest strength of the book is the depiction of the relationship Leia has with both her adoptive parents. We’ve seen plenty of Bail Organa in Star Wars before; Leia mentions him as a part of her plea for Obi-Wan’s help, he plays a major role in Revenge of the Sith, and has popped up in several books as well as the Rebels TV show. We have ample knowledge of how close he and Leia were and, of course, we know he trusts Leia with his life. But so far Breha hasn’t gotten nearly the same treatment; we know almost as little about her as we did when she first appeared on screen almost fifteen years ago. Fortunately, Claudia Gray stepped into that gap and wrote the mother/daughter story that Star Wars has sorely needed. Star Wars has focused heavily on stories about fathers. Luke and Vader is obviously the most prominent, but you also have Jyn and Galen (and also Jyn and Saw), Hera and Cham, as well as both Rey and Kylo’s relationship with Han. In fairness we have seen some stories about mothers: Anakin’s relationship with Shmi was a major theme in the prequels and Jyn often thinks of her mother during Rebel Rising, but both of those stories are defined by a dead mom. Padmé had a brief scene with her mother and sister in Attack of the Clones, but it ended up being cut from the movie (and then of course Padmé herself died in Revenge of the Sith, making her the poster image for dead moms in the GFFA). It wasn’t until season three of Rebels that we got anything resembling a mother/daughter story with Sabine and Ursa, but even that was only a small part of Sabine’s larger journey to retake Mandalore, not the focus. And sure, Leia: Princess of Alderaan isn’t solely about Leia and Breha’s relationship. It’s about Leia’s relationship with Bail too, as well as her duty to her family, her planet, and her conscience. It’s a true coming of age story about a teenage girl navigating her place in the galaxy, but a crucial part of that is her relationship with her mother. And it is so refreshing to see a loving mother/daughter pair that isn’t strictly defined by the mother’s death. Yes, the shadow of Alderaan’s destruction hangs over the entire book, and Claudia Gray deftly utilizes that irony, but the story is not defined by the death (or imminent death) of a maternal figure. Instead, Leia’s relationship with Breha is defined by support and unconditional love, which is frankly a rarity in the Star Wars universe. 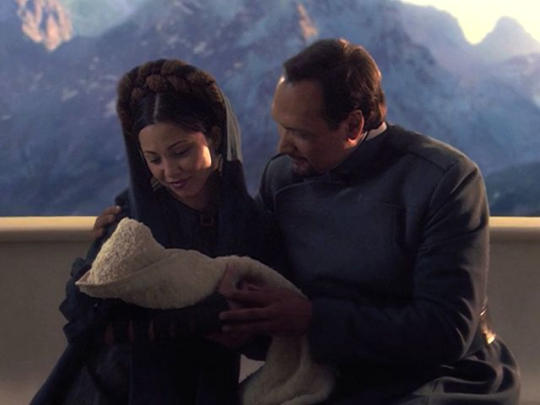 Most parental relationships in Star Wars are fraught with tension or pain, or defined by their absence. We know Poe Dameron was close to both his parents, as was Padmé, and presumably Luke’s relationship with Owen and Beru was loving, but none of those have been explored in great detail. Here, though, we finally get to see a warm, loving, supportive family and in that we see how Leia develops into the leader we see her as in A New Hope and onwards. Bail and Breha’s foremost concern is keeping Leia safe, and the bulk of the conflict of the book is Leia desperately wanting to show her parents she’s no longer a child and them reluctantly realizing that Leia can’t be sheltered forever. They may be planetary rulers fighting a galactic fascist, but it’s a message that hits home. And best of all, Breha is the first to recognize Leia deserves a chance to fight for freedom too. In a universe littered with dead mothers, it’s amazingly refreshing to see scenes of Breha staunchly defending Leia’s desire to help the fledgling rebellion. It seems such a small thing, but it means so much. Claudia Gray of course does an excellent job writing Leia, just as she did in Bloodline, but she does a fantastic job giving Breha a voice as well. It’s easy to see hints of Anakin’s fire and Padmé’s stubbornness in Leia, but we also see how Bail and Breha’s talents for diplomacy and subterfuge have molded Leia into the leader she will one day be. And the special bond that both Leia and Breha share as the current and future ruler of Alderaan is ever present throughout the novel and brings a special dimension to the story. The novel is peppered with Leia’s thoughts on her mother and what it means to be a leader and a ruler, and as she completes the challenges meant to prove that she is ready to become the heir to Alderaan she reflects on her mother going through the same process many years before. It is a uniquely special bond they share and one we can see that Leia treasures. When Leia finally realizes the true reasons behind her parents’ sudden emotional distance, her relief is all the more palpable because we know how close she had been with them. It’s a sharp contrast to the fractured families and dead mothers we are so used to seeing in Star Wars. Not that there is anything inherently wrong with depicting painful circumstances (and in fact it is to the franchise’s great credit that the found family trope is one of its most enduring themes) but it is especially gratifying to finally see a mother/daughter relationship take center stage. How many fangirls were brought into Star Wars by their mothers, and how many fangirls have daughters of their own that they want to share the galaxy with? It’s a small thing, but it can make a huge difference. For once in the Star Wars universe we get to see a young woman and her mother have a relationship defined by love and support. And while we know the tragic end that is coming, Breha isn’t defined by her eventual end. The final scene of Leia and Breha together on the mountaintop, brought together by mutual challenges and understanding, has been a long time coming. I was really fascinated by how… interesting Breha was as a character in this book. It was an amazing job to create such depth in such little “screen” time for a character. And the way her passions and visions dovetailed with Bail’s fears… it was just an utterly realistic, an utterly plausible story. Incredibly well written.